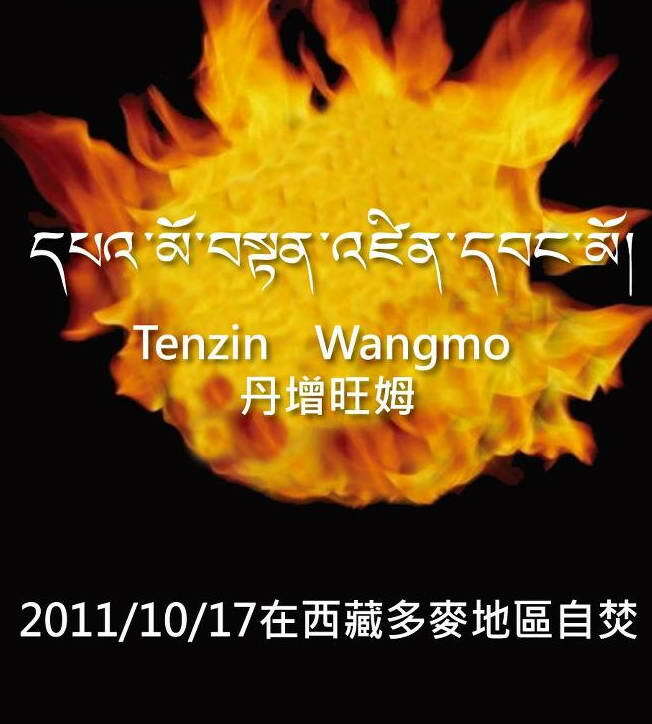 1) He said the number of Tibetans inside Tibet who have committed self-immolation is twelve. This is incorrect. In fact, the number is thirteen. 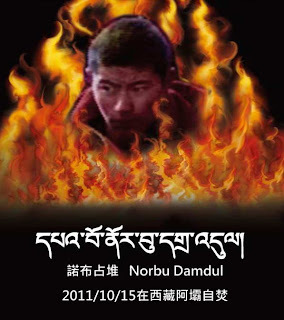 2) He said the number of those who have sacrificed their lives through self-immolation is six or seven. 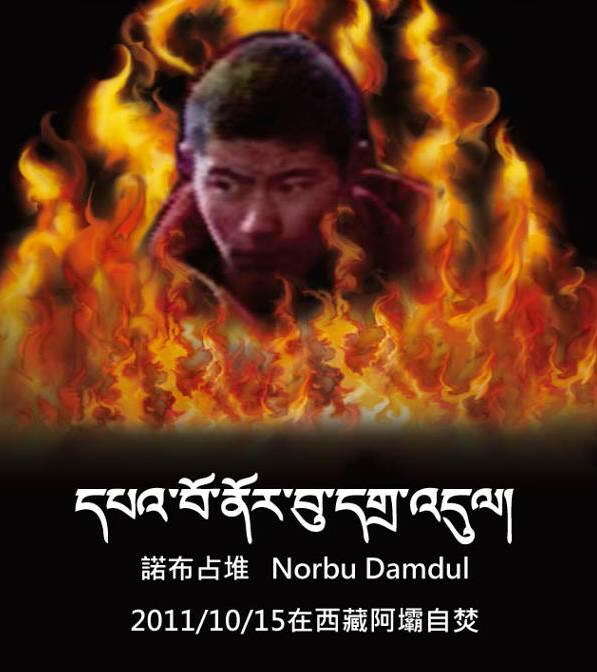 Actually it’s like this: if he says that twelve have committed self-immolation, then the number of those who have sacrificed their lives is six; if thirteen have committed self-immolation, then the number of those who have sacrificed their lives is seven. 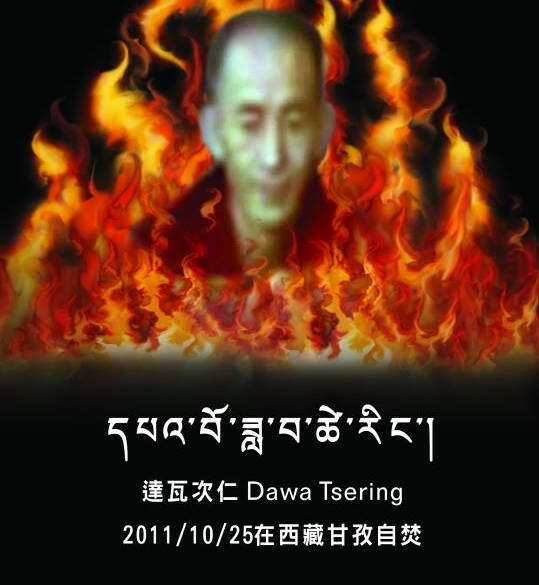 Ultimately, how many people have committed self-immolation inside Tibet? This is a very important question; I do not consider it a question that can be treated with imprecision or a question that need not be kept in the forefront of one’s thoughts. Kalon Tripa Lobsang Sangay-la, when visiting Europe, said that the self-immolation of Tibetans means the life of each and every person who commits self-immolation. 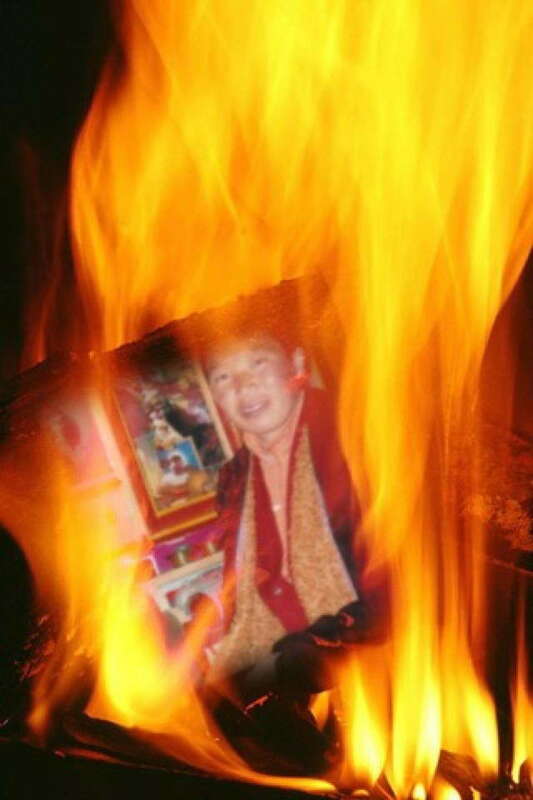 Therefore, with regard to this life-or-death issue our Tibetan political leaders, when speaking out publicly, need to be accurate and unmistaken about the number of those who have committed self-immolation. 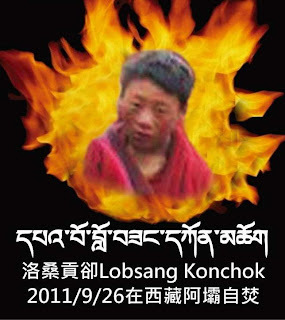 Naturally, if they can speak accurately about the name, home region, and circumstances of each person who has committed self-immolation it would be a great comfort to these heroes, heroines and martyrs and to their families. It would also be a great comfort to Tibetans inside Tibet. 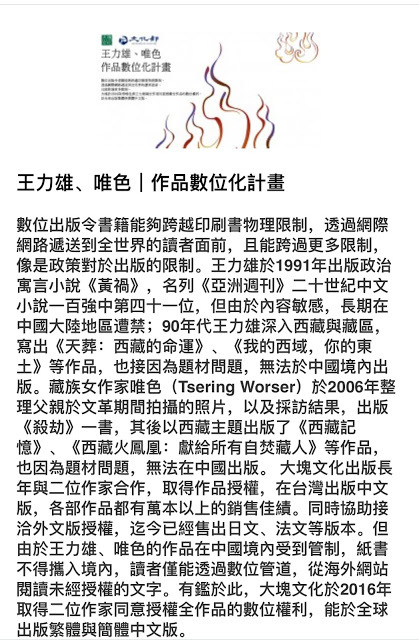 I hope my earnestness is understood. 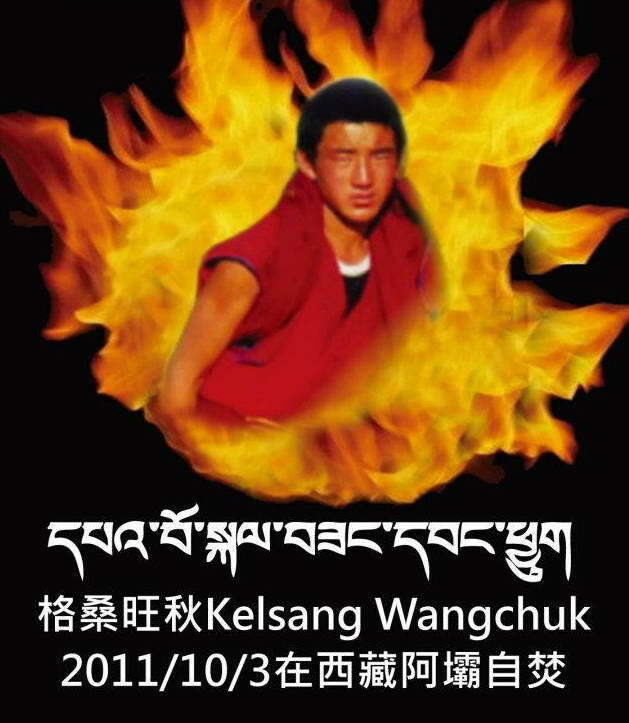 The thirteen Tibetans who have committed self-immolation inside Tibet are: Tapey, Lobsang Phuntsok (sacrificed his life), Tsewang Norbu (sacrificed his life), Lobsang Kelsang, Lobsang Kunchok, Kelsang Wangchuk, Choephel (sacrificed his life), Khaying (sacrificed his life), Norbu Damdul, Tenzin Wangmo (sacrificed her life), Dawa Tsering, Palden Choetso (sacrificed her life), and Tenzin Phuntsok (sacrificed his life). Donlha Tibet：Self-immolation, self-immolation. It’s easy to say it; it’s a shock to hear it. And committing the act is harder than scaling the heavens. But 13 heroes and heroines inside Tibet have done it. Might I ask if we, who scream when we scrape our hands even slightly, would have the guts to sacrifice our lives for the cause of freedom? I don’t know about anyone else, but as for me, with my lack of courage, I can’t even dare to think about it. Really, this generation wouldn’t dare to set their own bodies ablaze. 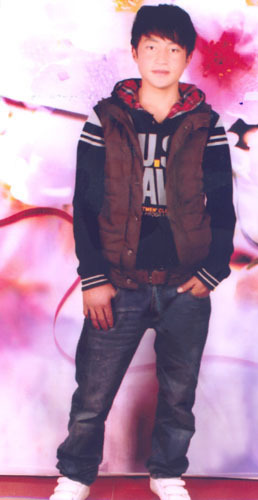 I agonize over my own uselessness. I feel ashamed. But I rejoice at having a clear mind. The names, backgrounds, and deeds of a total of 13 Tibetans who have committed self-immolation—from 24-year-old Tapey from Kirti Monastery in Ngaba, who did so on February 27, 2009, to 46-year-old Tenzin Phuntsok from the Karma district of Chamdo, who did so on December 1, 2011—are recorded in my diary and deeply engraved in my mind. 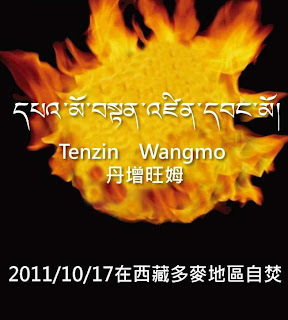 And as I want to always hold their memories dear, I light butter lamps, recite mantras, and take part in the support efforts organized by community-based Tibetan organizations, all to show my respect and honor for them. 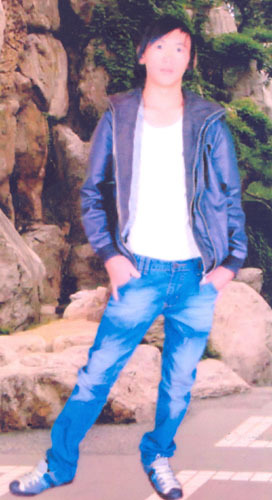 If I, a small and insignificant exchange student can remember them, how is it that our great Kalon Tripa can’t? 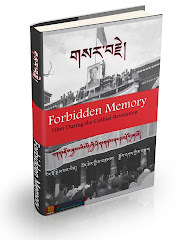 Can it be that this Harvard Ph.D.’s faculty of memory is so lacking, or weak, or careless? He’s the highest elected political leader; how can he say things that are wrong time and again and take no responsibility for it? 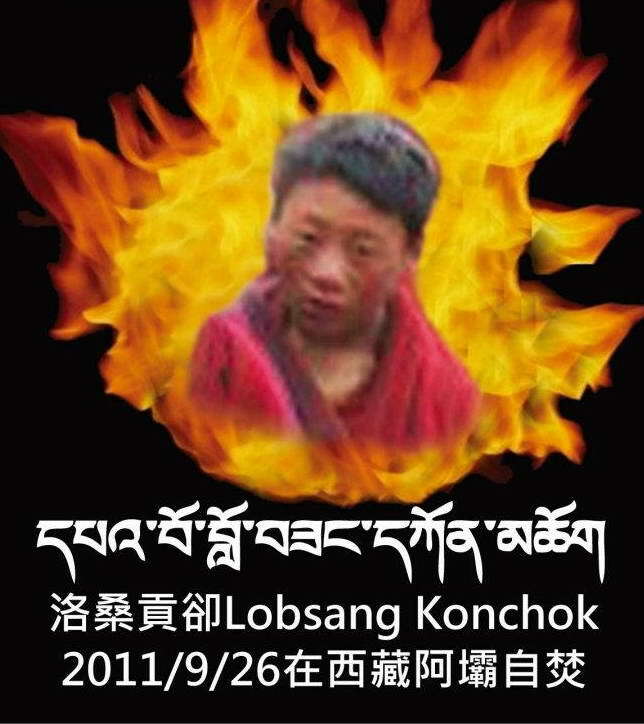 Yes, when I think of the heroes and heroines who have committed self-immolation I am ashamed of my inherent weakness, cowardice and uselessness. But at the same time I feel disappointment and a loss of hope with regard to our Kalon Tripa, because it’s not a question of whether a number is correct or not. It’s a question of whether or not the worth of those who have laid down their lives is taken seriously. 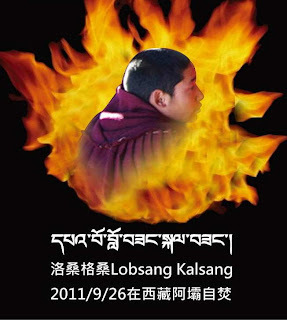 I remember when Kalon Tripa Lobsang Sangay-la was interviewed via hotline on an RFA program; it was just like when he was interviewed by the Voice of Tibet. 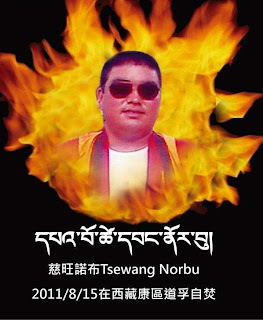 In answering questions about his work in the months since becoming Kalon Tripa, each time he raised the self-immolations by Tibetans inside Tibet and from that introduced his activities in the U.S., Europe, and in other countries. Since the genesis of Kalon Tripa Lobsang Sangay’s work is the self-immolation of Tibetans inside Tibet, shouldn’t he be able to recall the 13 Tibetans inside Tibet who have committed self-immolation? He shouldn’t be in error about their number. Even less so should he be vague in recalling the number of those who have sacrificed their lives. 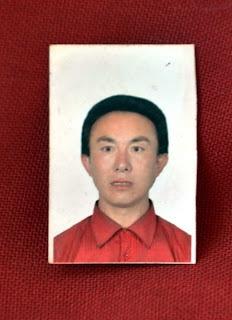 Let me repeat this: Of the 13 Tibetans who have committed self-immolation in Tibet, 7 have already sacrificed their lives; 5 were injured and taken away by army and/or police, their whereabouts unknown; and one is still in his monastery, but is seriously injured. 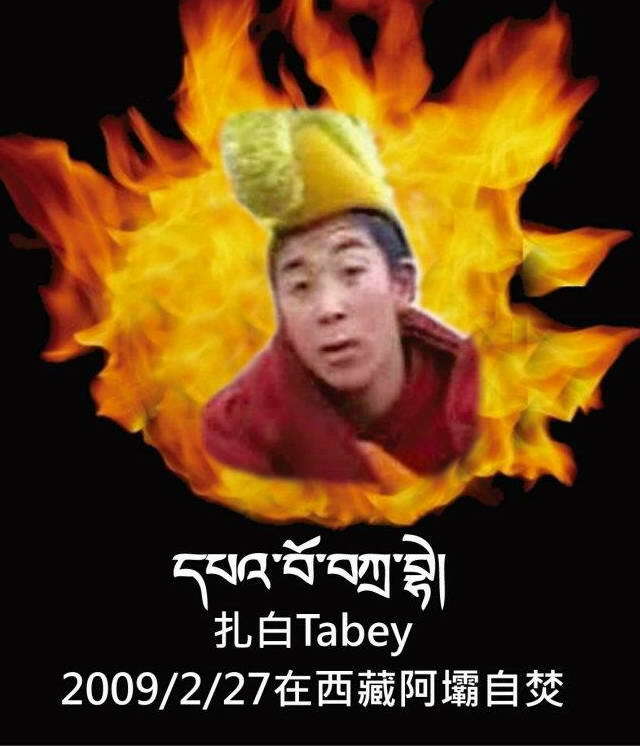 Of the 13 Tibetans who have committed self-immolation in Tibet, 9 are from Ngaba in Amdo and 4 are from Kandze, Ta’u and Chamdo in Kham. 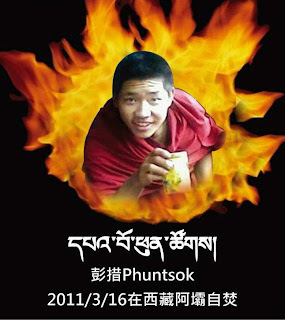 Of the 13 Tibetans who have committed self-immolation in Tibet, there are 11 men (monks or former monks), and 2 women (nuns).